The transport department of Khyber Pakhtunkhwa has finally given the green light to electronic rickshaws in order to tackle the alarmingly high number of pollution-causing rickshaws in the province. Rickshaws, the most-popular form of transport in Pakistan, have been around for quite some time and are a common sight in a buzzing traffic-heavy city such as Peshawar, noisily making their way through the traffic. Now though, the city is ready to embrace a new form of three-wheeler transport that is not only completely silent but is also devoid of any form of hazardous pollution: Rickshaws. Much smaller in size and featuring a cleaner design, these new Rickshaws are powered by a power electrical motor enabling fast acceleration. They are capable of accommodating three to four people and can go as fast as 40-45 kilometers per hour. Being powered by electricity, they don’t emit any kind of pollution or make any noise and apart from that, they are also considerably cheaper than their gas or petrol-powered alternatives. 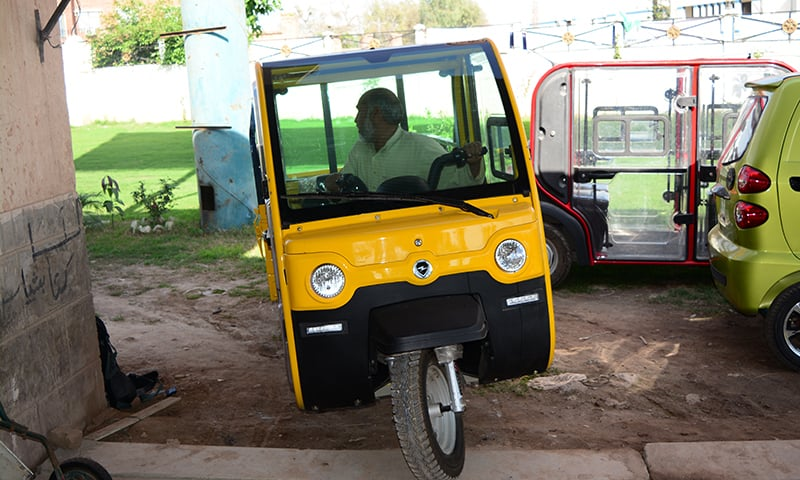 A driver with a permit can buy one of these E-Rickshaws for a moderate Rs.240,000, much lesser than the Rs.300,000 it costs to buy an auto-rickshaw. The E-Rickshaw is capable of being driven for as much as 50 km on 80% battery, and can be charged through any normal outlet (100V-240V). The battery takes around two hours to attain 80% charging while a full charge can take seven hours. 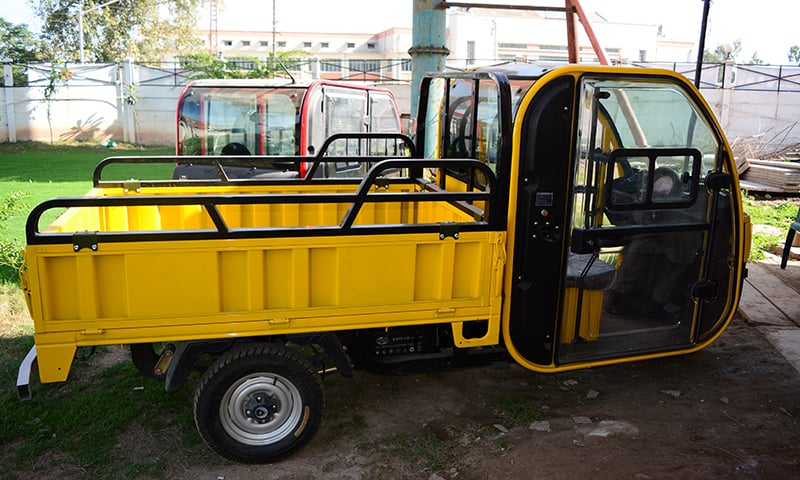 There are also two more prototypes that are being launched alongside the e-rickshaw; a mini-cab, capable of comfortably carrying five passengers at a time and running 150 km on a single charge; and a loader, which comes with an open luggage compartment at the back. 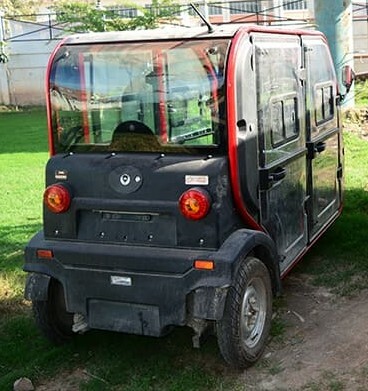 As reported by the Regional Transport Authority Secretary Naimatullah, there are around 13,000 registered rickshaws in Peshawar, but a bulk of them haven’t even been registered. The total number of rickshaws in the city is estimated to be around 50,000, a daunting figure considering the incredible amount of pollution these tri-wheelers cause. This contributes to the Peshawar being the sixth most polluted city in the world, as reported by WHO in 2011, and this is why, the introduction of e-rickshaws can be hugely beneficial for reducing the disastrous effect that is caused by the poisonous gases emitted by the high number of auto-rickshaws. The post Electronic rickshaws are coming to Khyber Pakhtunkhwa in Pakistan appeared first on TechJuice.